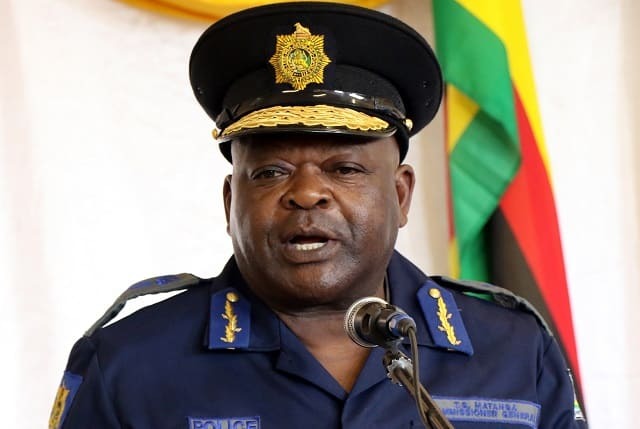 The Zimbabwe Republic Police (ZRP) has assured the nation that the forthcoming harmonized elections will be free of violence with suspects of politically motivated violence under investigation. Addressing the media in Harare on the ZRP’s preparedness for the harmonized elections today, Commissioner General of Police Godwin Matanga assured the nation that they had put in place necessary measures to ensure polls take place in a peaceful environment. “Of note also is the unfortunate and regrettable bombing incident that took place on the 18th of June 2018 during a ZANU PF rally at the White City stadium in Bulawayo. Some of the suspects have been arrested and the case is still under investigation,” said Matanga. “However this does not mean that they should be denied the right to vote but rather the electoral act allows members of the disciplined force to vote through the postal ballot ” added Matanga.